← Can We Really Save The World? 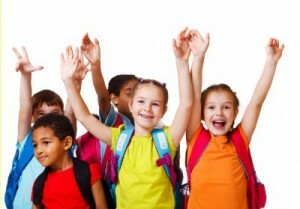 Twenty five percent of America goes to school everyday. That translates to just under 8 million children, teachers and staff that are exposed to the indoor air quality in our schools. Many school buildings are in disrepair and outdated, contain unhealthy toxins, and operate with outdated resources. Schools should be a safe place where students have the best resources and a healthy learning environment. Children are not miniature adults. They cannot process toxins through their bodies like an adult can. An epidemic perhaps? According to the CDC in 2011 over 7 million children have asthma or nearly 10% of the children in the U.S. More than 14 million school days are missed annually because of asthma . We may not be able to cure asthma but we certainly can perhaps prevent an attack by creating a healthier environment by adopting green building practices. So what does that mean: adopting green building practices? Think about everything that happens in a school building each day and it starts when it is built or renovated with the construction materials, furnishings such as wall coverings or paint, floor coverings and the adhesives used to glue it down. Then we maintain our buildings with cleaning products (toilet bowl cleaners, glass cleaners, floor stripper and finish for example) and use materials in the maintenance department like WD-40 – non-green chemicals contain VOCs or Volatile Organic Compounds that off gas and continue to off gas for years in most cases. All of this may contribute to triggering asthma attacks or cause other health related problems. Kids are a vulnerable population which should be treated with care. Share your findings with others and ask them to do the same. Please, do this for our children. They deserve a safe healthy place to learn and they spend many hours in a day in our school buildings.